Wow! It's been a year since I started writing this blog, creating my own little nook on the internet, sharing the stories we've loved, the books we've read and a little bit of ourselves and our life too! BookBairn, the baby, has changed from a teeny bundle of joy who happily poured over the pictures in her books into a teeny whirlwind of fun who no longer poses easily for photos but adores books more than anything else and will independently turn the pages of her books for hours a day. It is perhaps a poignant moment to say that this morning she read to us from a book for the first time. She turned each page of her library book and told Daddy and I who was in the picture, a word or two about what happened and then moved on to the next page and repeated the process. She's officially a reader. Not just a book-lover but a reader. I'm so proud of her. And perhaps it might sound crass but I'm pretty proud of myself too. I've raised a reader. I know, she's still little, she's only 18 months old but she's already a reader. We spend more time sharing stories and reading, colouring or stickering books in our house than playing with any other toys. And it's her choice. I'm proud that she has a passion for books. Her favourite days out are trips to the library or the bookshop. The most exciting moment of the day is when I tell her 'post's been' and she rushes to the door to collect her latest book parcel from the postman. And bedtime story is the simplest and most magical time in out house where Daddy, Mummy and BookBairn curl up in her room and choose a story or two from her 'Favourite's Shelf' to read together in those last sleepy moments of the day. Would books have become so central to our lives without this blog? Honestly, probably not. We'd still go to the library, we'd still get the occasional book in the post, we'd still have bedtime story. But knowing that I'm going to share these moments with you readers makes me think about them more meaningfully. Realise their importance. Not just letting them pass us by as part of our daily routines. So firstly I want to say 'Thank you' to you. Loyal readers. New readers. Book fans. BookBairn fans. You make every 'bookish' moment in our life more significant, relevant and valuable. So, from the bottom of my heart, thank you, thank you, thank you! To those of you who also follow on Facebook, Instagram or Twitter: thank you! And especially to those friends who have come across BookBairn and I in the library, soft play, park, etc and recommended a book, or said you liked a post, or bought a book based on our recommendations: thank you! To Papa BookBairn who has commented on every post I've ever written, your love and support is invaluable. Thank you! To Gma BookBairn who instilled a love of books in me that I have now proudly passed on to our little BookBairn. Of all the family traits we could have shared, I'm glad she's inherited this one! Thank you! To Daddy BookBairn whose coding expertise has rescued me from a jam on more than one occasion. And for coining the phrase 'BookBairn'. And for everything else. Thank you! To Booklover Jo and Book Monster Ally without whom I would have never managed to navigate the world of Twitter and who have provided me with mountains of love and support over the past year. I have discovered so many fabulous books because of you both, explored the world of kidlit in our twitter book group and have found two fabulous friends. Thank you! 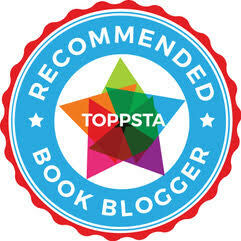 To Mama Mummy Mum whose Read With Me linky has helped me connect with bloggers and readers who love to read and write about the same things as me. Thank you! And to those bloggers who share, comment and like: Thank you! To a large group of kidsbookstagrammers who make me smile on a daily basis: edenbooksknits, afriendlyaffair, spiky_penelope, happily.ever.elephants, kate.eccles, windingbooktrail, clairehanke, readingisourthing, book.nerd.mommy, ohcreativeday, the.book.report, hereweeeread, chaoscastleuk, sobookinggood, kidlitreaders, mummybexm, usbornestagram, thebooksniffer, picturebooksblogger, kidlitpicks, kidsbookstagram amongst many others. Thank you! To our postie who carries a pile of heavy books to us on a weekly basis. Thank you! To our lovely library staff who happily greet us and stack up all our requests, who love it when BookBairn gives them a smile and don't bat an eyelid at her loud squeals of joy as she discovers new books. Thank you! To all the fabulous publishers and authors and book subscription boxes who have sent us books. We love working with you and getting book post so a huge thank you! But particularly to the incredible Antonia Wilkinson who has sent us dozens and dozens of books from a library of publishers. Our bookshelves are bowing under the weight of all those books. Thank you! To a collection of authors and illustrators who have made me feel valued and appreciated: Jo Lodge, Emma Dodd, Sophy Henn, Gillian Gamble, Sarah Massini. Thank you! To BookBairn who I love with all my heart. I'm so proud of the little lady you are becoming. You inspire me. You teach me. You make it all worthwhile. Thank you. I hope I haven't missed someone from this long list of thank yous. But just in case: thank you! Thank you for reading, I'm off to eat some 'bloggerversary' chocolates! Happy anniversary, BookBairn. I can't believe it's been a year of blogging. 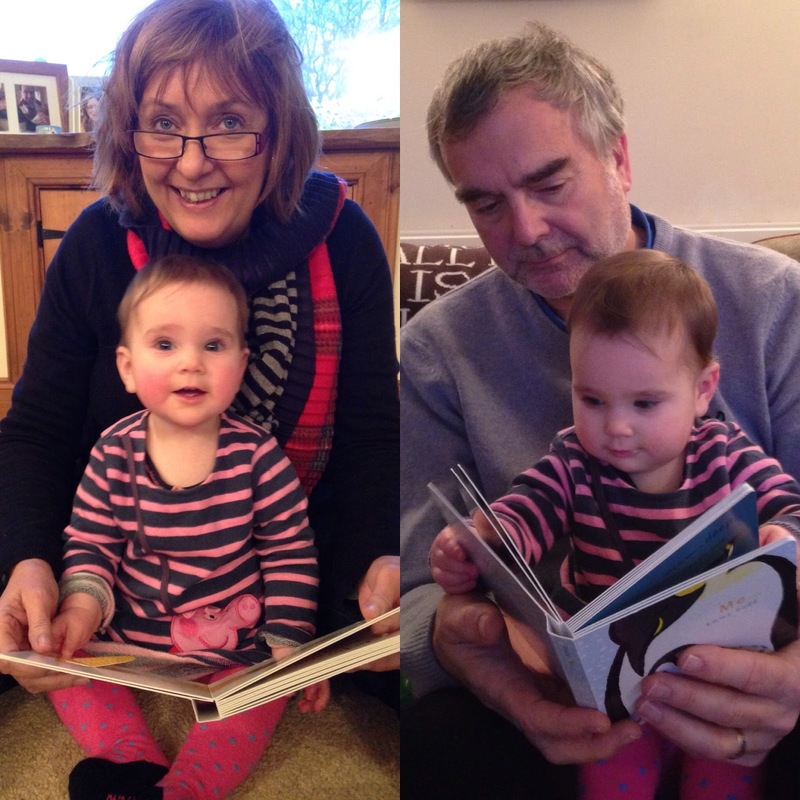 There is no doubt that BookBairn has inherited her love of books from MummyBookBairn and GMaBookBairn. However, I do believe she has inherited another family trait - a fascination for shoes!!!! Anyway, I look forward to another year of BookBairn blogs. Keep up the good work. Thanks for all the support Papa C! And yes, she does love shoes. And I feel like she's also going to be a duplo/lego fan! 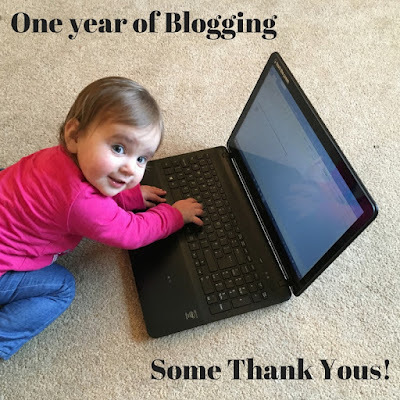 I can't believe it's been a year of blogging. Congratulations and well done! Here's to another year of reading more wonderful books. Lucy X Ps BookBairn's Glamping card is in the desert - thank you! I raised a reader who raised a reader! I couldn't be happier. Spending time in the product of someone else's imagination, whether art, words, music or film, etc, is one of life's privileges. Reading helps understanding, empathy and emotional connectedness. Who wouldn't want that for their children? I love she loves the library, it validates what I work hard for. Good luck with blogging this year and hope your readers enjoy your smart choices and well chosen words. Thanks Sarah! And thanks for all your lovely support!